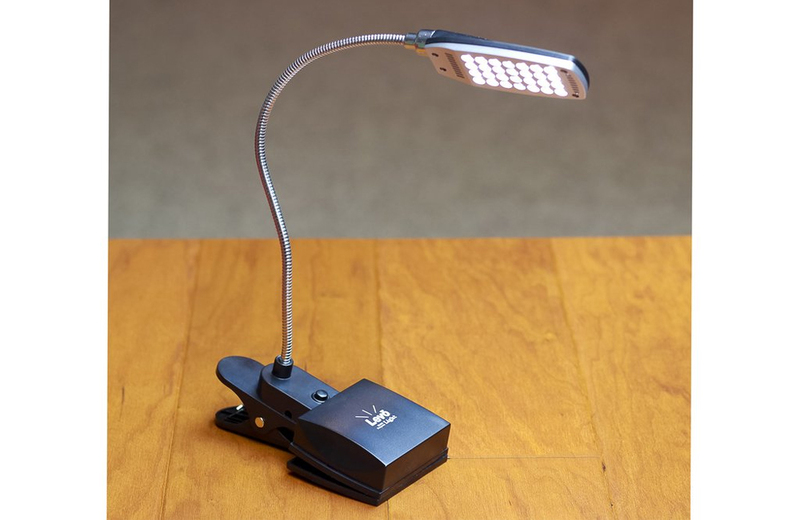 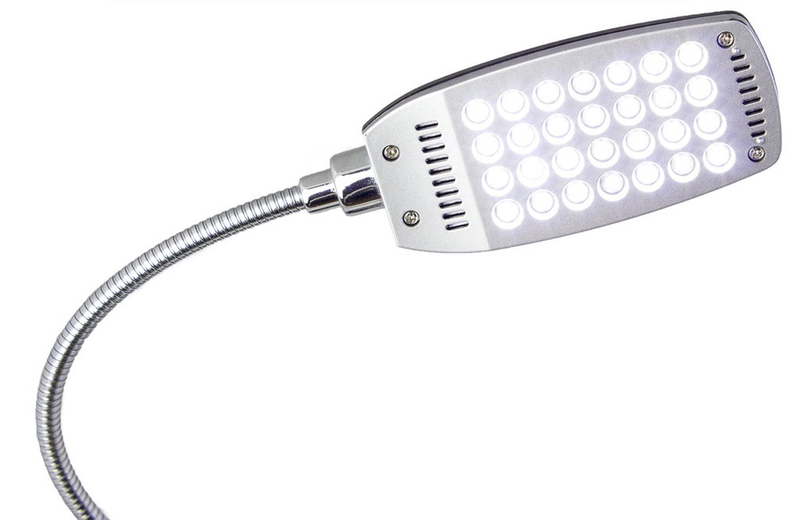 The LEVO Multipurpose LED Light is a versatile lighting source for tables, desks, beds, bookholders, and more. 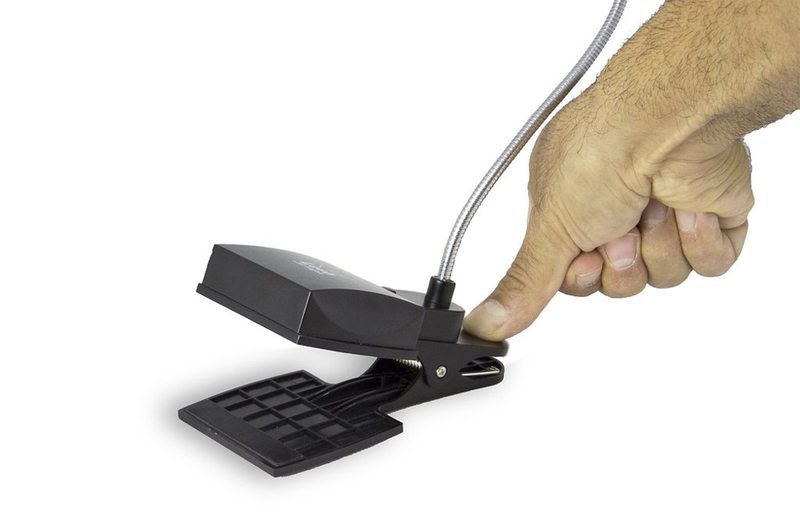 It can be used either free-standing or clamped on to the edge of most surfaces and platforms up to 2" thick, and includes 3 options for the power source: USB cable (included), AC plug (included), or 4 AA batteries (not included). 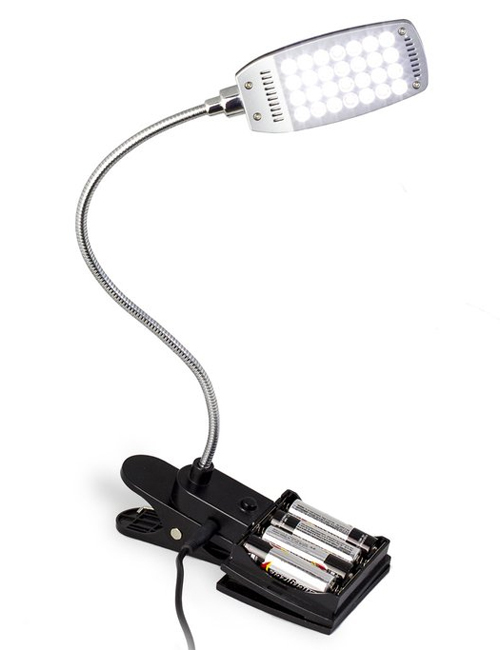 The lamp itself consists of 28 super bright LED bulbs with 10,000 hours of life and 3 brightness levels, all of which are cool to the touch. 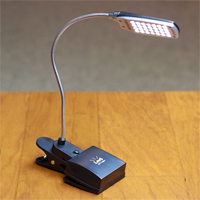 This product is an excellent complement to the LEVO holders.